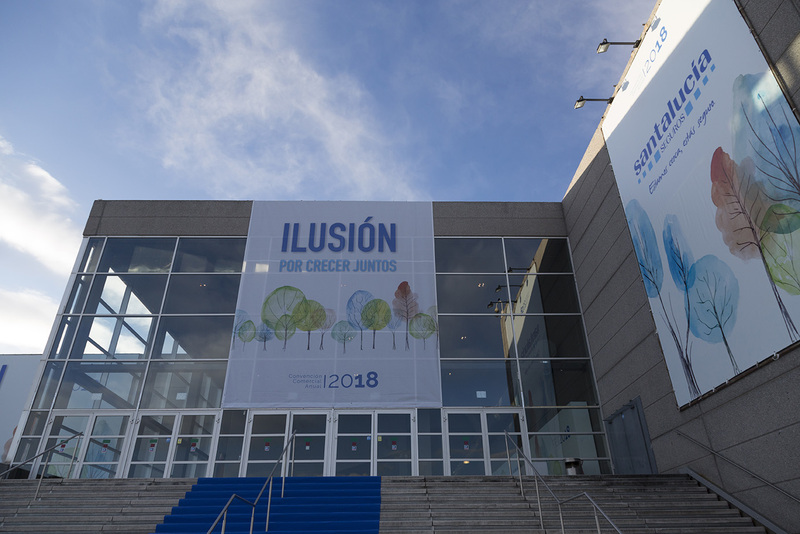 For the third consecutive year, ACCIONA Producciones y Diseño has been responsible for the design, production, organizational support and event logistics, which this year has as its theme, “The Illusion of growing together”. 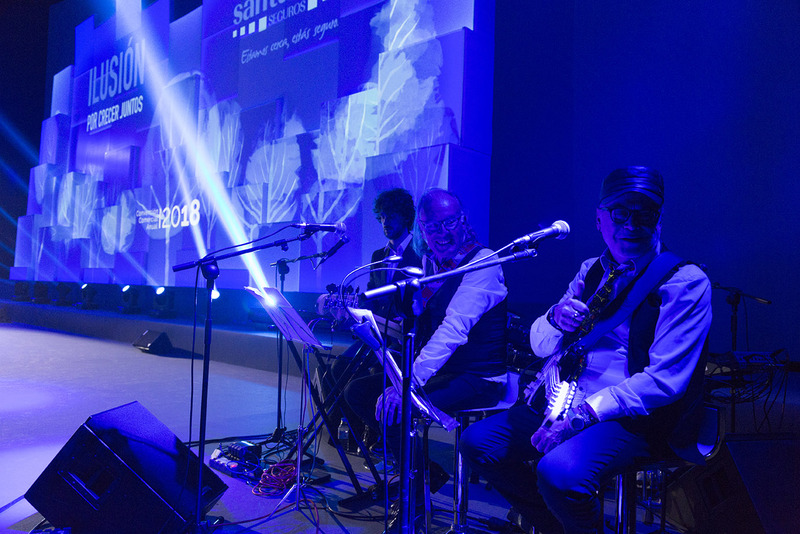 For the third consecutive year, the SANTALUCÍA Company, a leading family protection insurer, has entrusted ACCIONA Producciones y Diseño (APD) with the design, production, organizational support and logistics for its Annual Sales Convention. The convention was held on February 2nd at several significant spaces in Madrid and its surroundings, and involved about 1,000 people, members of the sales team, the business world and the management of the SANTALUCÍA group. The space chosen for the event was Kinépolis Madrid Ciudad de la Imagen, an enclave where the company reviewed the sales targets and results obtained for 2017. Once the convention was over, sales awards were handed out in all categories. The highlight of the event was the dinner at the Gran Casino de Aranjuez, where more than 200 employees were honoured for their great careers with the Company. For the event’s corporate identity, APD used watercolour techniques and nature elements to create a composition based on trees to represent the growth of the company. Thus, the graphic images emphasize the human factor and the closeness and commitment of the company to its people, in line with the event’s motto: “The Illusion of growing together”. 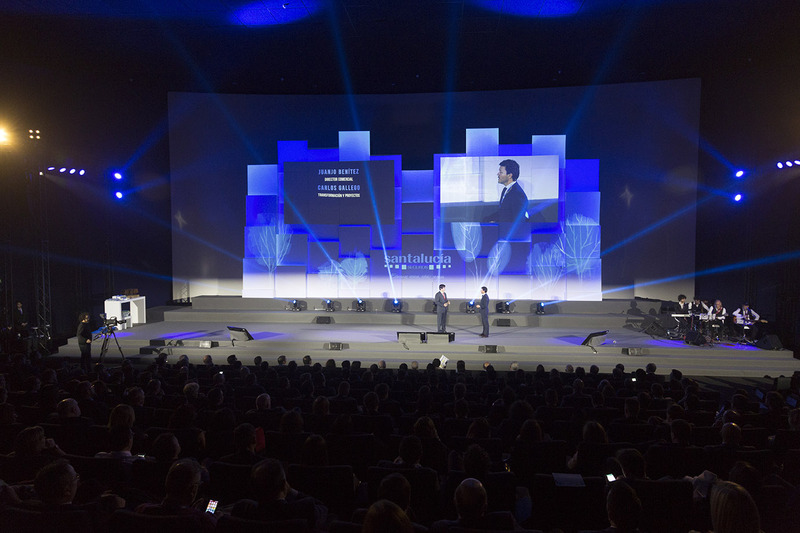 To stage the convention, ACCIONA Producciones y Diseño created an interactive meeting format with highly communicative multimedia resources that shared the stage with the speakers. The most singular element was the scenography, created from volumetric cubes superimposed in different levels, inspired by the SANTALUCÍA logo, endowed with a sculptural character. Integrated in front of the large projection screen, the installation functioned as a support for the projections with 3D effects, thanks to the multiple projection surfaces and configurations available with its shapes. 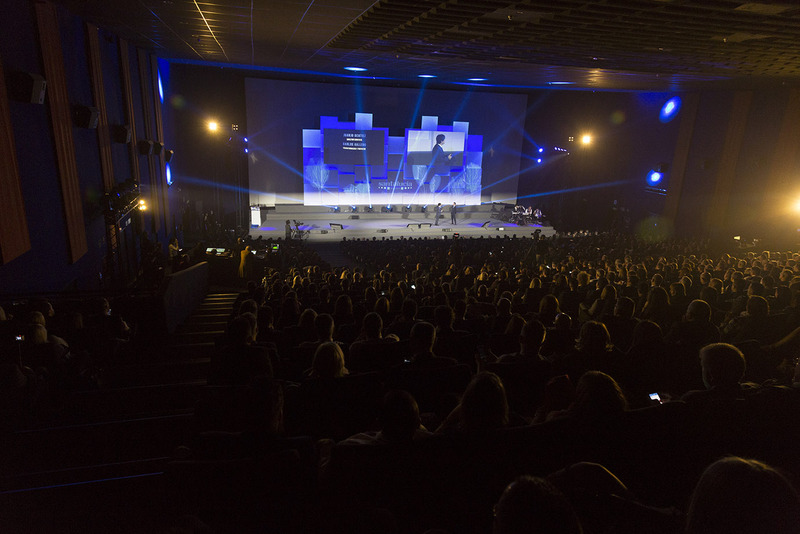 In this sense, ACCIONA Producciones y Diseño created a motivational video based on the graphic identity of the event, projected at the beginning on a frontal stage using video-mapping techniques. Likewise, images with 3D effects were projected simultaneously with the speaker’s presentations and the corporate videos throughout the convention, managing to transform the stage to make it more attractive and to provide dynamism to the event. 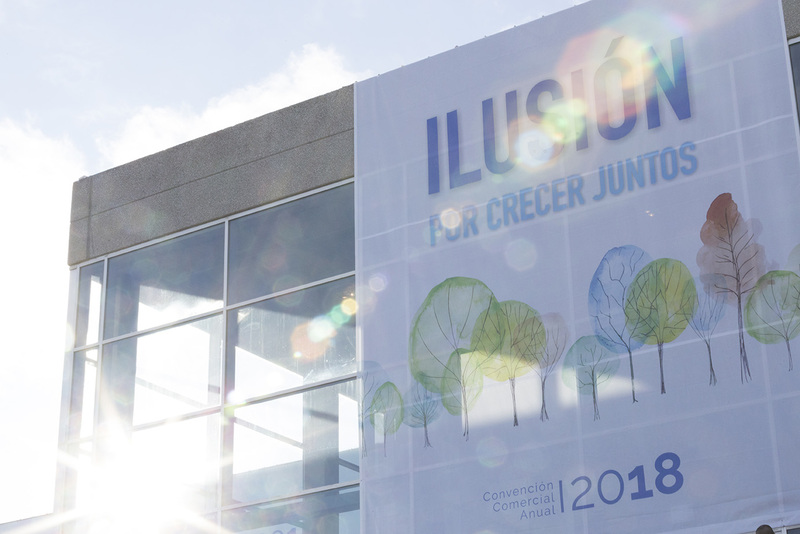 Because of the comprehensive commitment to sustainability ACCIONA Producciones y Diseño carries out it all its projects, the Convention was a ‘carbon-neutral’ event. The CO2 emissions linked to the event will be compensated with the clean energy project, Tuppadahalli Wind Energy in Karnataka (India), ensuring that the final emissions balance is zero.